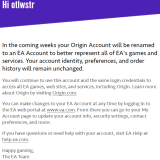 Here’s a new one for you gamers out there that love Origin and all things digital download from EA. 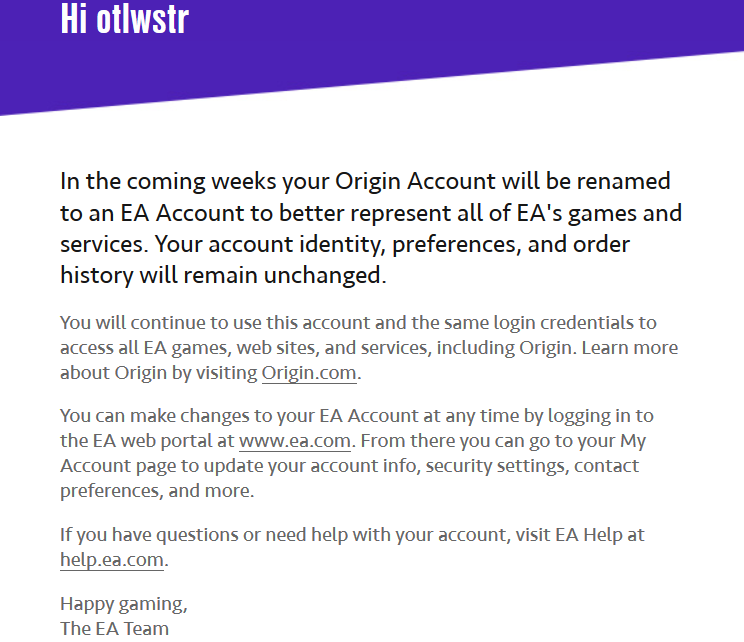 EA is going to make their naming convention even easier and wipe clean the slate of their doomed digital platform by transitioning all Origin accounts over to EA accounts. Little is say behind the reasoning for this change outside of having an easier time to identify with EA content and we’ll just have to sit and wait for this transition to occur without complaining. I’ll have to say that I do really enjoy using Origin for its support they provide but I do not enjoy having to use another digital platform to manage my games. I’ll go as far as to say that Origin is miles ahead of UPlay. UPlay really needs to be shot into space and never spoken of again. Games, music, movies, computers, cars are my interests and I love taking the time out to share my interests with anyone on the web who is willing to listen. Previous Windows 10 Launching on 29th July 2015!